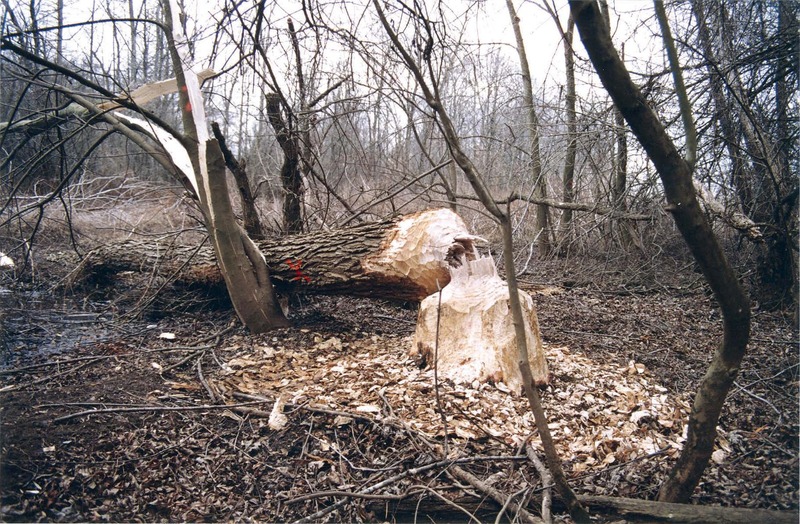 When it comes to identifying the root cause of power outages in the United States, it’s not going too far out on a limb to say that trees are responsible for approximately 30 percent of them. 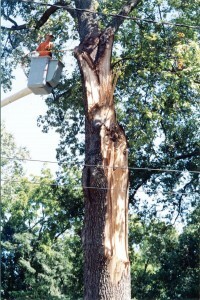 When one tree branch comes into contact with an electrical line, it can affect hundreds of homes and businesses. Multiply that number with a major storm, and you can see how these events cost the nation’s economy between $20 billion and $55 billion annually. To reduce the risk of power outages before an event occurs, utility companies work hard to implement integrative vegetation management programs to keep their electrical lines clear of vegetation. 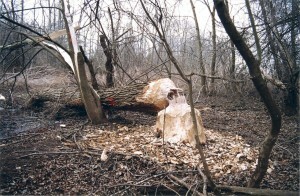 An IVM program is defined by the Environmental Protection Agency as “the practice of promoting desirable, stable, low-growing plant communities — that will resist invasion by tall-growing tree species — through the use of appropriate, environmentally sound and cost-effective control methods,” including chemical, biological, mechanical and manual treatments. Through this approach, utilities can manage vegetation while balancing control, cost, public health, environment quality and regulatory compliance. Dyersburg, Tenn., is a small community of 20,000 located in the northwest corner of the state. The municipally owned Dyersburg Electric System was established in 1902 and provides electricity produced by the Tennessee Valley Authority to the community and the surrounding area. Jack Golio is the systems forester for Dyersburg Electric. Since 1998 it has been his job to oversee 350 miles of distribution and transmission lines, using his knowledge as an arborist along with the best practices in the industry. Golio said that when he first came to Dyersburg Electric, it was obvious that a change was needed. The budget had spiraled out of control, and trimming methodologies of past were about to catch up with the community and create an even bigger problem. Although it would take a while to turn things around, he began laying the groundwork for what is a viable IVM program that remains to this day. “Of course, nothing you do will eliminate power outages 100 percent, (but) a solid plan can significantly reduce that percentage,” he said. The first step was to create a 3–4 year trimming cycle in accordance with American National Standards Institute and Occupational Safety and Health Administration requirements. This practice is not only efficient at helping maintain the appropriate clearance between trees and power lines but also enables crews to be responsible in their pruning practices. 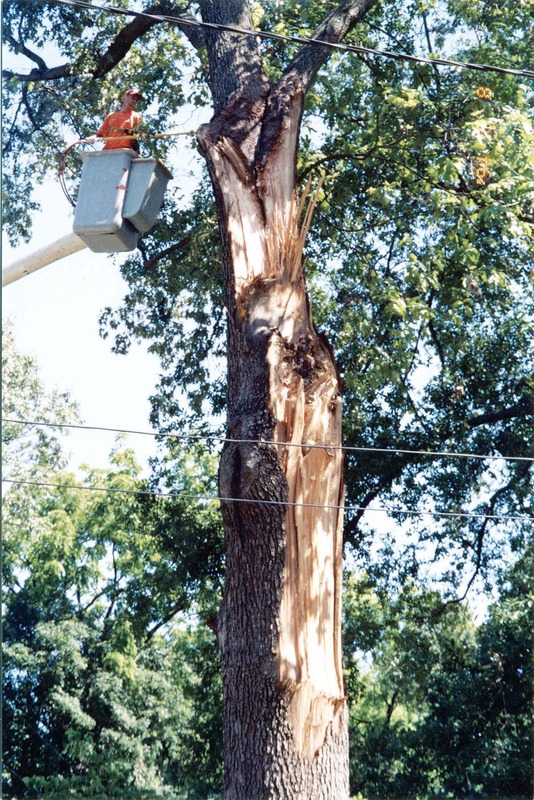 Another thing that made a difference was Dyersburg’s tree removal system and foliar herbicide program, which allowed it to remove offending trees, replace them with varieties that will not infringe on power lines in the future and spray the stumps to prevent any stray growth. “Stumps can’t get into the electrical lines, so they cannot create outages,” Golio said. He admitted that creating and implementing an IVM is not a one-size-fits-all proposition. Different areas of the country have different needs, but if leaders employ experienced arborists, they can explore the options and find the best solutions to their concerns.